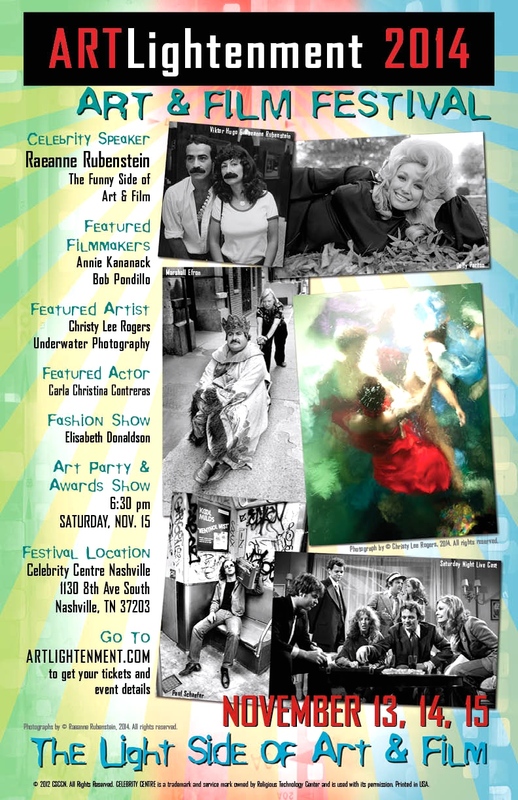 Artlightenment, the annual multi-media art show and film festival that showcases dozens of visual artists, painters, sculptors, and filmmakers, is slated to run November 13, 14, and 15 at The Celebrity Centre (Old Fall School Building), 1130 8th Ave. S., Nashville, TN, 37203. Created by painter, sculptor, and film producer, Robyn Morshead in 2009, this three- day event also features workshops, live music, and a fashion show, making it a vital force in Nashville’s creative community. The theme of this year’s Artlightenment is “The Light Side of Art,” and will feature the work of underwater photographer and filmmaker Christy Rogers, a visionary artist who uses the refraction of light on her subjects to create beautiful images reminiscent of the paintings of Rubens and Caravaggio. Ms. Rogers’ work, which is being shown internationally, is currently on display at the Angers Nantes Opera House in Angers, France, and this will be the only opportunity to see her large-format prints in Nashville. Join her as she hosts a special pre-show seminar, “My Career in Underwater Photography and Film” on Thursday, November 13 at 5:30 pm. This year’s festival also will highlight the work of landmark photographer Raeanne Rubenstein, whose work has graced the pages of publications such as People magazine and The New York Times. Attendees can hear Rubenstein speak on “The Funny Side of Art and Film” on Thursday, November 14 at 7:00 pm. Actress Carla Christina Contreras will be kicking off Artlightenment’s Film Festival on Saturday, November 13 at 6:30 pm with her talk “A Long and Successful Acting Career.” Carla’s recent film work includes Two Eggs (with Tom Skirret), Self Offense (official selection in eight film festivals), Static (eleven awards, including Best Actress), as well as the feature film Summer Snow. Some of her other work includes Army Wives, America’s Most Wanted, and a co-starring role in Following Her Heart, which starred Ann-Margret, George Segal, and Brenda Vacarro. The festival is proud to feature The MTSU Paris Project, three films produced by well-known documentary filmmaker Tom Neff and shot by student filmmakers from MTSU’s Electronic Media Communications Department. The films center on the unlikely cross-cultural exchange between Paris, France and Murfreesboro, Tennessee. The MTSU student-filmmakers traveled there to make these extraordinary documentaries about contemporary French artists, their work, and methodology. Three-day tickets for this groundbreaking event are $15. Ticket holders have access to all exhibits and workshops, as well as to the film festival and closing-night awards and fashion shows. Douglas Corner Café again will proudly host the annual international festival that recognizes the genre-bending musical contributions of Gram Parsons—the “Cosmic American Music” artist who died more than 40 years ago, but whose fan base and musical influence grows with each new generation. The Gram Parsons InterNational VII Nashville festival will be held November 7 and 8 at Douglas Corner, with bands playing Friday night and acoustic/singer-songwriter sets on Saturday. Among several special guest will be Phil Kaufman—former road manager for the Rolling Stones and Gram Parsons—who infamously stole Gram Parsons’ body after his death and burned it in the Joshua Tree National Monument, believing he was fulfilling Parsons’ wishes. Why does Gram Parsons matter so much to so many Music City and worldwide music fans? Parsons is consistently listed in Rolling Stones’ “100 Greatest Artists of All Time,” but is one of a handful on that list not in either the Country Music Hall of Fame or the Rock & Roll Hall of Fame. Although he died more than 40 years ago, two premiere music magazines (Uncut and Mojo) did cover stories on him to mark the 40th anniversary of his death. Dead by the time he was 26, he has had more books written about him than many more famous musicians. 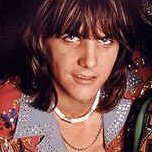 Currently, there is an online petition to induct him into the Country Music Hall of Fame (begun by Gram Parsons InterNational), which is closing in on 12,000 signatures and comments from ardent fans around the world. You are currently browsing the Underground Nashville blog archives for November, 2014.